Try perfume or cologne first with a free sample. A free perfume sample offers the perfect chance to experiment with a new scent. Most stores are willing to let you try out a new perfume before you buy it. This is especially true at department store makeup counters. They may have small sample vials of popular scents available, scented cards, or open bottles you can use to test the perfume right in the store. You don't necessarily have to visit a high-end retailer to find these samples, though. Even your local discount drugstore will have a few tester bottles available. However, the more expensive the perfume, the less likely you are to find an open bottle that's free for everyone to try out at the discount store. Magazines are another popular source of free perfume samples, usually featured in full-page ads with a scent strip. Almost any women's magazine will occasionally feature perfume samples, but the more devoted the periodical is to fashion, the better your chances of experiencing a new scent. You may also receive "free" perfume samples as a gift with purchase. 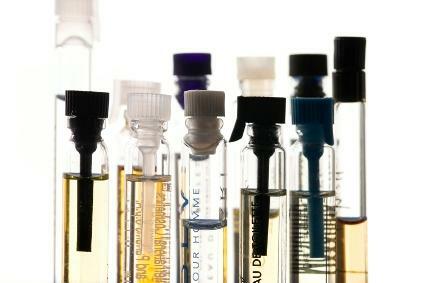 This allows you to test other perfume products in the same line or from the same manufacturer. These promotions are especially popular around the holidays and other gift-giving occasions like Valentine's Day. You can also visit the websites of your favorite perfume makers directly to see if they're offering any samples or if they provide a mailing list to receive announcements of future offers. Before requesting a sample from a website, make sure it's a place you trust with your contact information. Samples you request directly from the manufacturer are usually safe, but some third-party sites just want to gather your email address for their mailing lists. You should also watch out for sites that make you sign up for credit cards and other services in order to receive your free perfume. These offers will usually entice you with a high-value gift card or an expensive brand name, but it's not worth the time and cost involved to get your "free" item. You should always test a free perfume samples on your body instead of just sniffing a card or spraying it in the air. Subtle differences in body chemistry can make a perfume smell slightly different on each person. The warmth of your body will also vary the scent's strength compared to smelling it straight out of the bottle. It is recommended to wear the perfume you're trying out for an extended period of time. You'll be able to move beyond your first impression of a scent and see if it holds up over the course of an evening. Don't overdo your sampling. If you've been spraying your wrist and sniffing perfumes for half an hour, you're just going to end up with a muddle of smells. You may find yourself purchasing a perfume you don't enjoy because you only smelled it in combination with other scents. Use perfume strips and cards from magazines as sachets in your dresser drawers. Arrange an assortment of samples in a basket for an inexpensive gift. Set them out in the guest bathroom for visitors to use. Pass them along to friends you think might enjoy the scent. Give them to young girls for dress-up play. Donate them to a shelter along with other personal care items. No one should have to spend money on a perfume without knowing what it smells like. Thankfully, free perfume samples help take the guesswork out of any perfume purchase.